We invite you to expand your knowledge by exploring the world of art! With VMFA's many galleries and rotating exhibits, you can never see everything in one visit. Join one of our docents for a Friday night tour of their favorite objects sampled from the many collections throughout the museum. You may leave with a new favorite yourself! 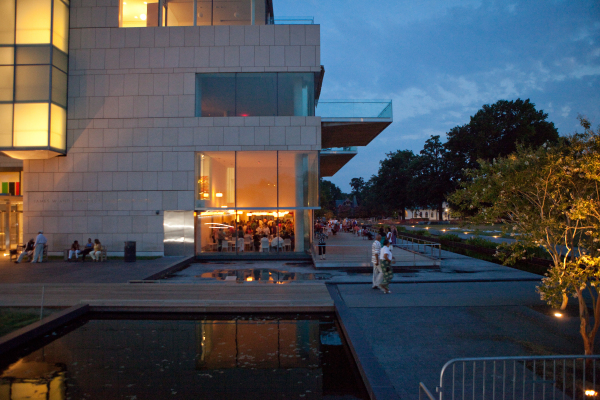 Now you have more reasons to hang out at VMFA on Friday nights! Head to the museum and enjoy Happy Hour specials on beverages all evening and free half-hour gallery tours at 7 and 7:30 pm. Become an archaeologist and dig up the past! 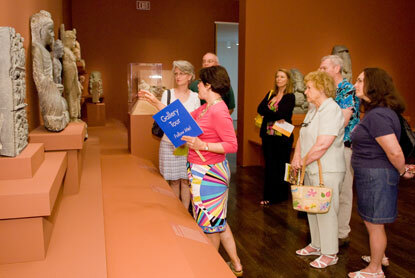 Trek through VMFA's exciting collection of ancient artifacts. What can a work of art tell us about a person or community in Africa? On this tour of African Art you will be introduced to a range of peoples from youth to elders, hunters to farmers, and healers to kings. Find out how animals as subjects have captivated artists for thousands of years. This cross-cultural adventure will take you all over the world! Explore representations of myths, tales, and legends that transcend time. Visit VMFA's permanent collection to gain insight into the beliefs, contributions, and lasting influences of cultures from around the world. Explore the wide variety of materials artists use to make works of art, and what the use of materialcan tell us. This tour will take you across time and place to learn about both traditional and unusual materials.